And it all starts with the raw chocolate. 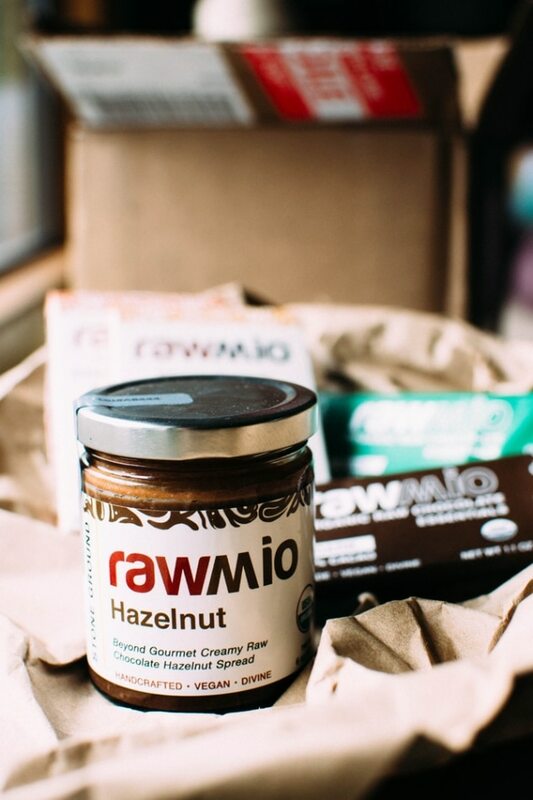 In this case, Rawmio chocolate. It’s always been a struggle of mine to find chocolate that has been minimally processed, doesn’t contain refined sugar, soy additives, binders or dairy. But this brand actually meets all of those criteria in a really complete way. Chocolate is something that can literally bring you bliss, and they’ve found how to do it in all the right ways. 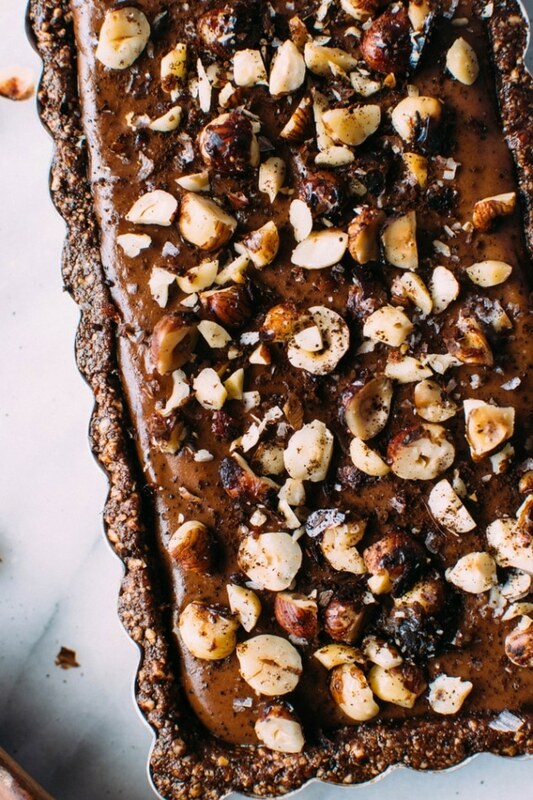 Their chocolate hazelnut spread is a part of the filling for this salted mocha hazelnut tart. It’s a little bit thicker than what you might expect in some other spreads of it’s type (read: perfect for eating from a spoon! ), and the flavor is so pure and the ingredients just shine. The most beautiful part? It’s made with only THREE ingredients. That’s right. THREE. And they’re all organic. Boom. How many products that stock your cupboard can you say that about? Probably not very many. what’s so cool about organic raw chocolate? 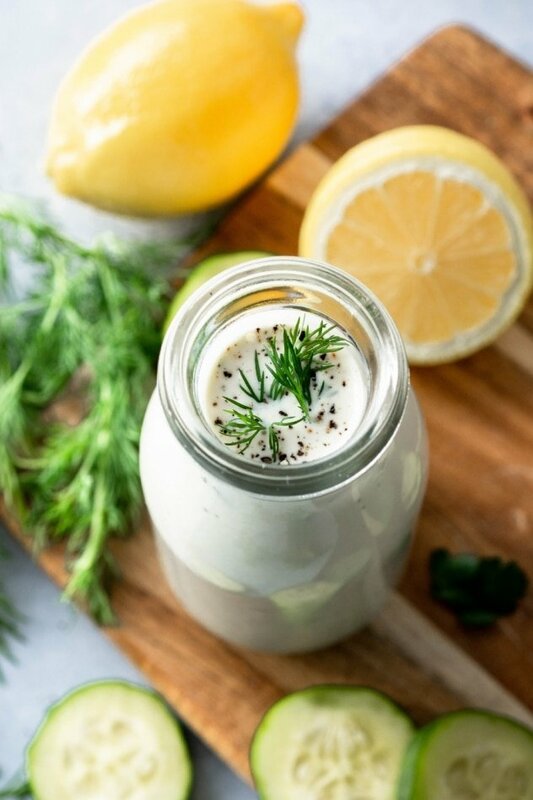 Very minimally processed, and never reaches very high temperatures during production, which helps to preserve as much of the antioxidants and nutrients as possible. 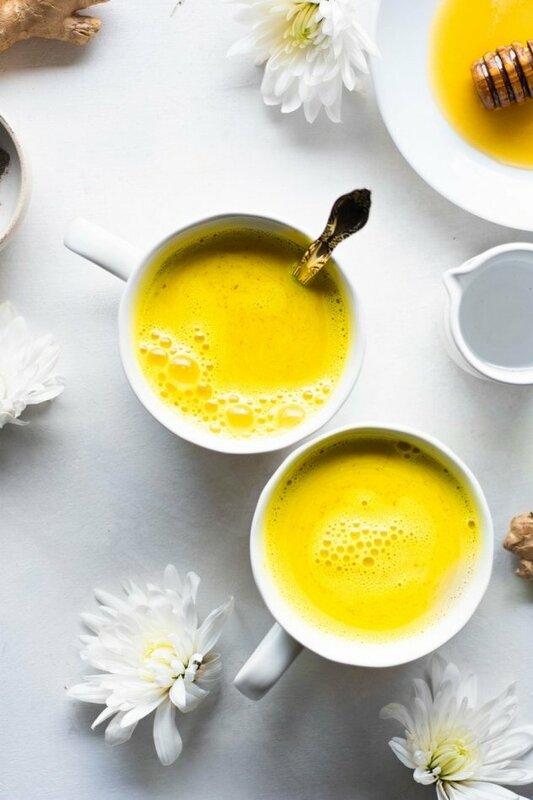 Is thought to contain up to 4 times as many antioxidants as regularly processed chocolate! Contains a neurotransmitter called theobromine – a mild stimulant which releases something in our brains called anandamide – a compound whose root comes from the sanskrit word “ananda” meaning joy, bliss and delight. Making it one of the things in chocolate that has the unique ability to make us feel a sense of happiness and contentment! And here’s something that’s bound to make you SUPER happy! For my partnership with Rawmio on this recipe they have generously offered all my readers a 20% discount on any of their products! All you have to do is head over to their website www.rawguru.com and enter the discount code: RANYSSA20 at checkout. 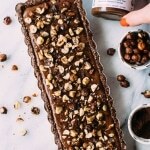 In addition to the raw chocolate hazelnut spread and chocolate bar that I’ve used in this recipe, they also have some other amazingly delicious and nourishing treats for you to try! Now let’s talk about why we’re all here – THIS TART recipe! 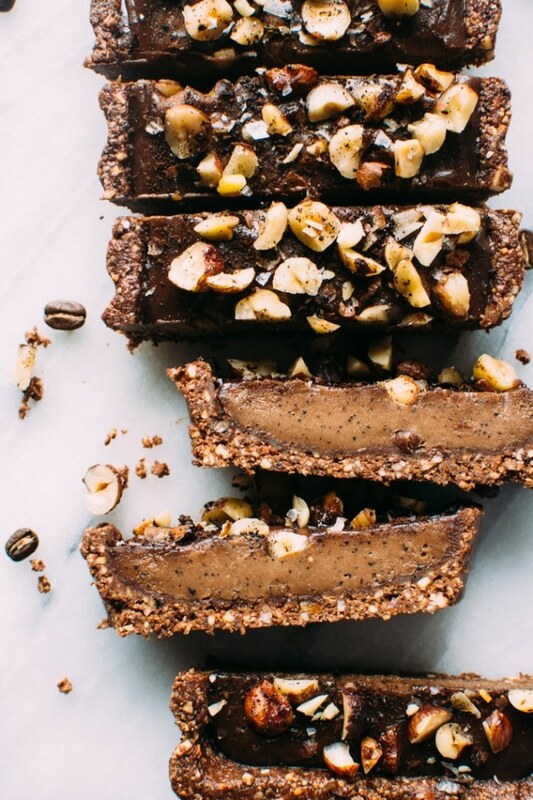 What does this raw salted mocha hazelnut tart taste like? HEAVEN! No but in all seriousness it’s pretty amazing. 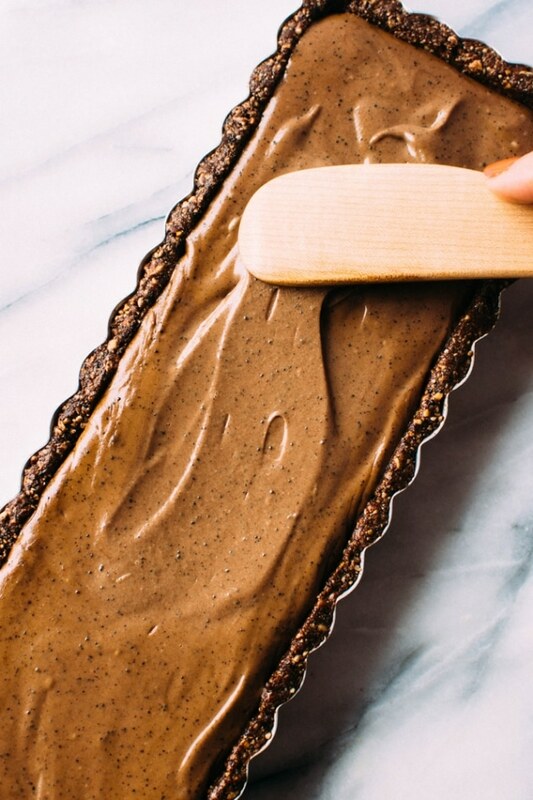 This was this first type of dessert that came to mind when I was considering experimenting with some of rawmio’s products, so I made this tart for my husbands birthday and it was a total success! Everyone loved it and lots asked me for the recipe. I considered that a good sign in moving ahead with the plan to share this with you all! First things first, the filling. It tastes like a silky, almost fluffy mocha hazelnut mousse (maybe the best words ever put together in a sentance)! 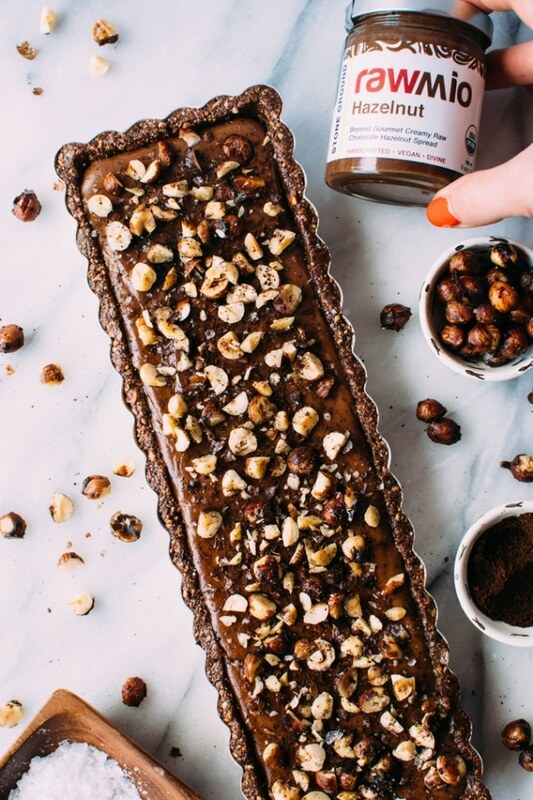 The bulk of it is made with raw, soaked cashews (which area literal dream when it comes to replacing dairy in a recipe!). 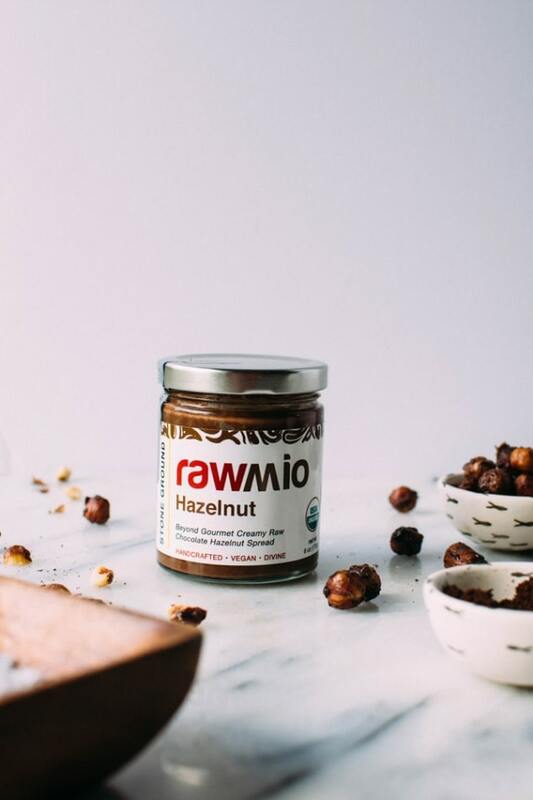 They are blended into silky smooth perfection with some of rawmio’s divine chocolate hazelnut spread, a little melted coconut oil (so the filling sets up a bit more once it’s cooled), and some ground coffee for added texture and flavor. 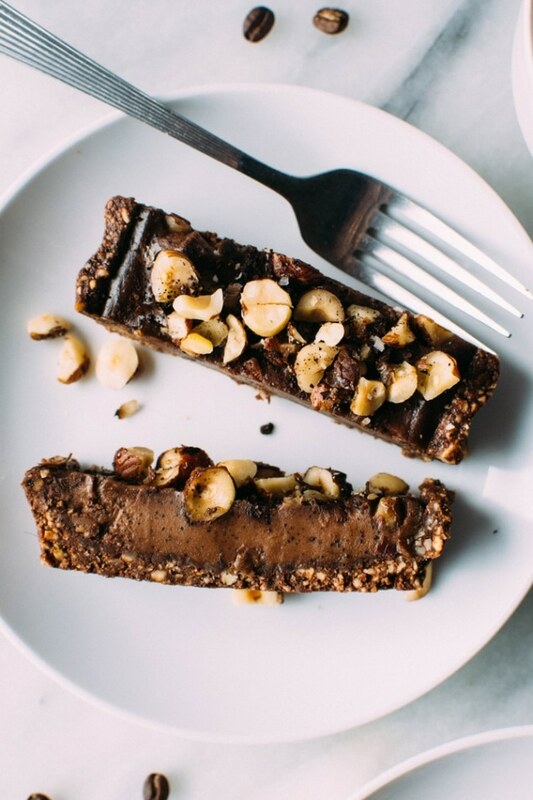 The crust has an amazing toasted, nutty quality that you get from roasting the almonds until they’re deep brown, and is then infused with a lot of bittersweet chocolate – both from a melted rawmio chocolate bar (WHICH IS INSANELY GOOD!) and some extra cacao powder. There’s coffee in there too, because, why not? If you’re making a dessert with coffee I say go all the way – but maybe that’s just the seattle-lite in me talking? And then because I just always have to add that third element for texture and dimension I went ahead and made some super quick and easy candied cinnamon coffee hazelnuts – the amount this recipe makes is a little more than you’ll need for the tart, but trust me when I say they’ll disappear fast! All of these amazing components then get layered into a tart pan with a removable bottom – I just got one and I LOVE IT! If you don’t have one with a removable bottom you can of course still make this dessert, but the presentation may not be quite as seamless. Once assembled and sprinkled with some flaky sea salt, you’ll want to store the tart in the refrigerator (or freezer to speed up the process, to get everything to set up properly). For at least a couple hours, but longer will be better if you have the time. Once it’s set you can let it sit out on the counter for about 15 – 20 minutes to bring it to (IMHO) the best consistency. But you could also eat it straight out of the fridge or let it sit out for longer depending on what texture / consistency you’re going for. The longer it sits out the softer the texture of the filling will be. However when you’re removing the tart from the pan for the first time you’ll definitely need to give it about 15 minutes out of the refrigerator so it will easily release from the pan. Want more delicious grain free dessert recipes? 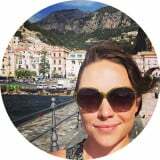 Check out these favorites! 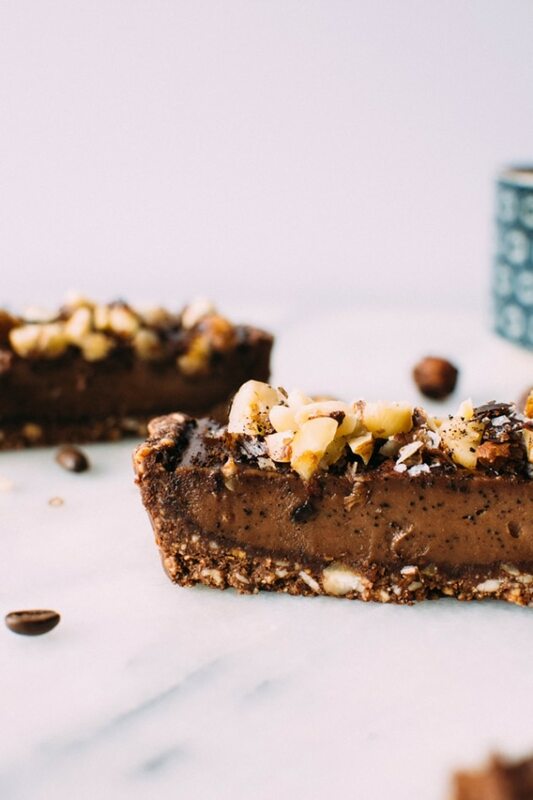 Salted mocha hazelnut tart with Rawmio chocolate is an incredibly decadent and satisfying vegan and paleo dessert! 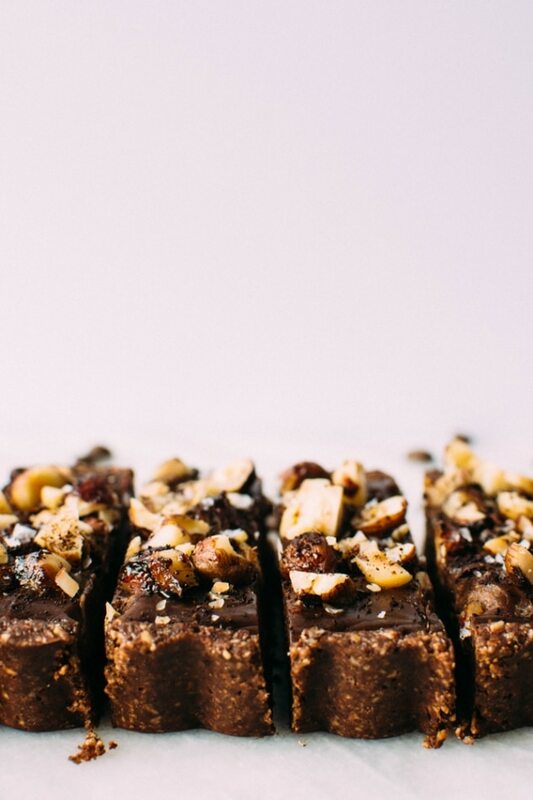 No bake, made with nutrient dense ingredients, and sprinkled with sea salt like every great chocolate dessert should be. Soak raw cashews in boiling water for at least 30 minutes, up to three hours. Roast almonds for crust for about 8-9 minutes, until fairly dark and quite fragrant. Move to a bowl or plate to cool. While almonds are cooling, prep the candied hazelnuts for the oven. In a small bowl mix together hazelnuts, avocado oil, maple syrup, sea salt, cinnamon and ground coffee. Transfer to a parchment lined baking sheet and bake for 5 minutes. Remove from the oven, stir and return to the oven for another 3 minutes. Stir to coat again and bake for 1 more minute, until bubbles have slowed dramatically and the maple syrup mixture is clinging to the hazelnuts. 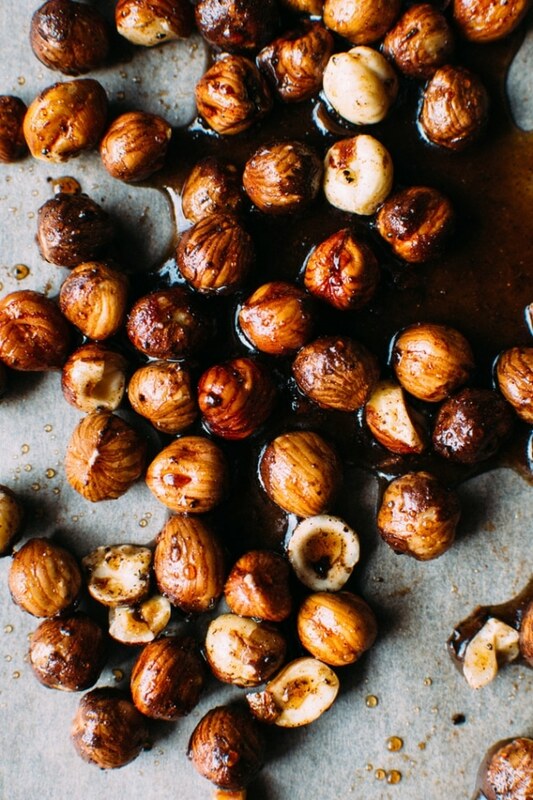 Remove from oven and set aside to cool, spreading hazelnuts evenly and separating as much as possible so they don’t harden into one large chunk. Melt chocolate bar either in the microwave or over a double boiler. 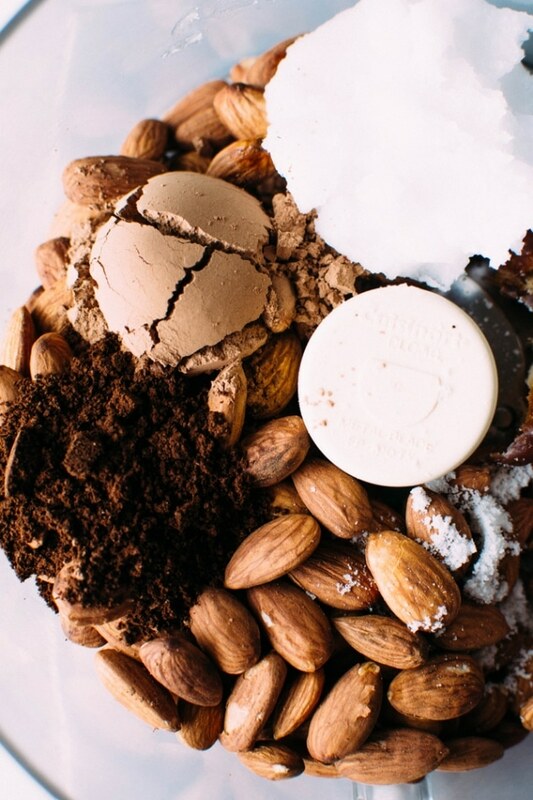 Add almonds, melted chocolate, coconut oil, dates, ground coffee, vanilla extract and sea salt to the food processor. Process all ingredients in a food processor until well combined, stopping every so often to scrape down the sides, and to poke around and make sure that all of the dates have been incorporated. Press into a 13.75×4.25×1 inch tart pan with a removable bottom using your hands, and pop into the refrigerator or freezer for about 30 minutes to set. While crust is setting prepare the filling. Drain and rinse cashews. Add to the blender along with water* (see notes! ), chocolate hazelnut spread, ground coffee, vanilla extract, sea salt, and melted coconut oil. 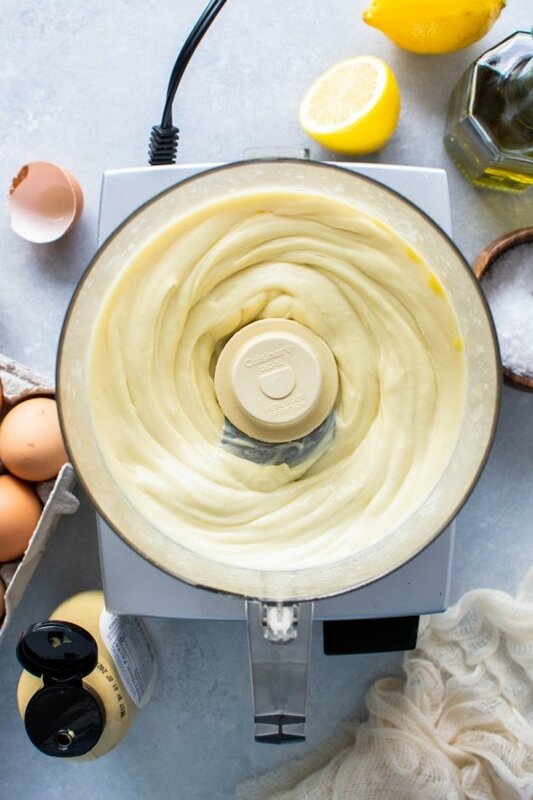 Blend on high for several minutes, using your tamper to get everything moving, until silky smooth, and almost fluffy in texture. Taste and add a little maple syrup if desired. Once crust is set and filling is ready, pour filling into crust and spread evenly. 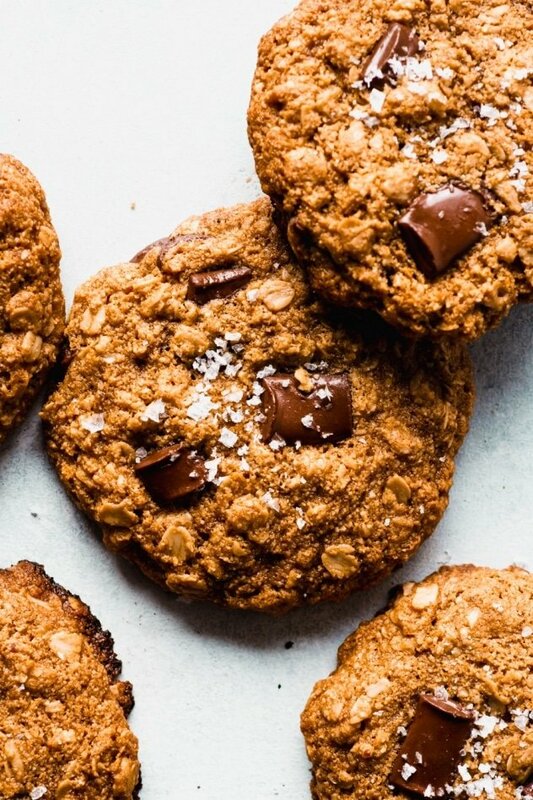 Sprinkle with flaky sea salt, 1/2 cup chopped candied hazelnuts, and 1/4 tsp ground coffee. Move to the refrigerator and chill overnight, or if you’re in a hurry, you can start it in the freezer to speed up the process. If you’re starting it in the freezer leave it to set for at least an hour, but longer is better. Once it’s set you can move to the refrigerator (it will hold it’s shape in the refrigerator), or if you prefer it to be somewhat frozen when you eat it just thaw it on the counter for about 10-15 minutes before digging in. It’s easiest to slice when frozen and then thawed ever so slightly. Slice in desired serving size into about 12-14 pieces. It stores great in the freezer in pre-cut pieces! 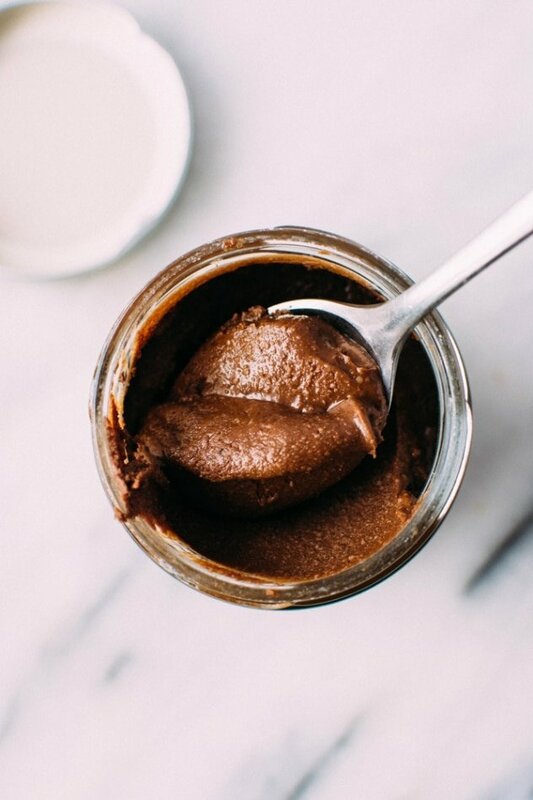 The amount of water you use will depend on what type of chocolate hazelnut spread you use. The Rawmio chocolate hazelnut spread is pretty thick, so I ended up using closer to 1/2 a cup of water. I have also made this recipe with another chocolate hazelnut spread that was on the thinner side. In that version I used about 1/3 of a cup of water. You will want the filling to be the consistency of a-just-pourable mousse. Start with less and you can always add a little more if it’s just too thick to blend. Since this is not a super sweet dessert, you may end up wanting to add just a touch of maple syrup to the filling as well. You can go ahead and blend everything up, taste it, and make it a little sweeter if you’d like.